Known as Stanlegh, Staynley (13th century); Stonle (13th-16th century); Stoneley (16th-17th century) and Stonely (Modern), Stonely is a hamlet next to Kimbolton in Cambridgeshire, England. It is part of the parish of Kimbolton and Stonely. The hamlet was formerly the site of the Augustinian Stoneley Priory. 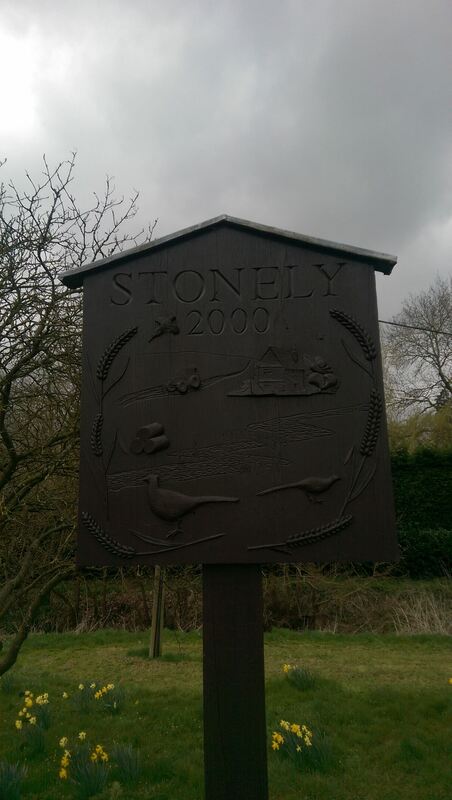 Stonely is designated as a conservation area. STONELY, a hamlet in the parish of Kimbolton, hundred of Leightonstone, county Hunts, 9 miles south-west of Huntingdon. It is situated near the river Kym, and has traces of an Austin friary, founded in 1181 by William de Mandeville. The principal seat is Stoneley Hall.